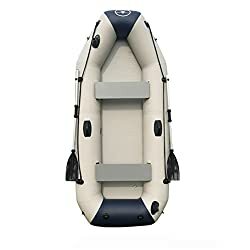 The spacious boat offers plenty of space for three adults and one child. 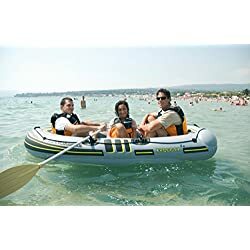 Add these French boat oars to your inflatable boat and start having some real fun. 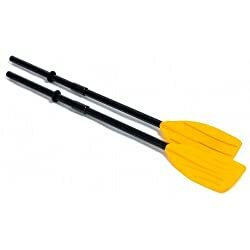 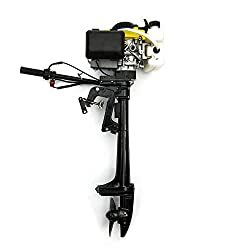 The 48″ boat oars feature a retainer ring for oar locks and ribbed blades to get your boat moving with ease. 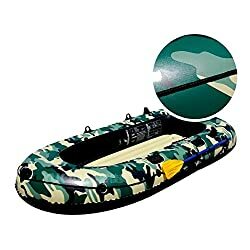 Rubber dinghy, heavy hard bottom fishing boat. 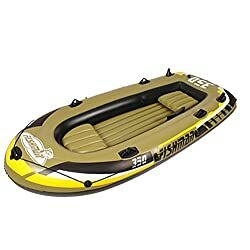 Features: thick anti-collision bar, wear resistance, not afraid of rock. 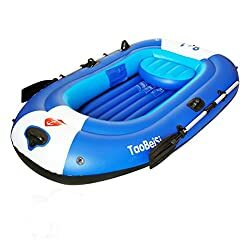 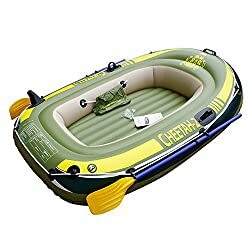 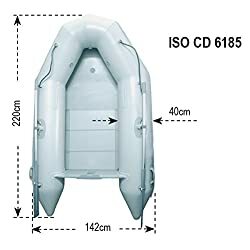 ★ [INFLATABLE DINGHY WARRANTY]: 30 days risk-free return + 1-year guarantee on material + reliable & perfect after-sales service; inflatable pontoon boat COO can be provided. 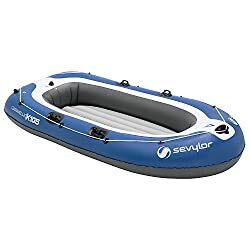 ★ [BOTTOM STIFFENING SYSTEM]: The Inflatable Keel under the rigid Aluminum Deck Floor forms a V-shaped hull instead of flat hull, allow the water to easily slide past the bottom of the hull, while the inflatable tubes give them excellent buoyancy, stability and load-carrying capacity. 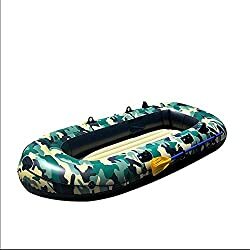 ★ [ATTENTIONS]: We have storage in the UK warehouse, and it will deliver about 7-10 days. 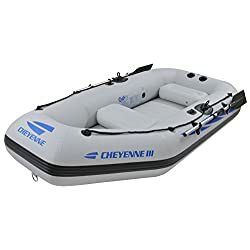 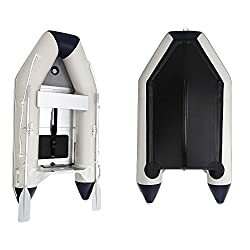 [SUPER SAFE DESIGN]: 3 separate air chambers + 1 inflatable keel, always keep the tender boat floating even if 1 chamber damage, the “long tail” configuration (extended rear rocket-pontoon tubes) prevents dinghies from rollover, especially in choppy conditions. 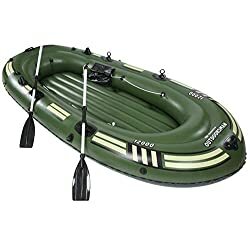 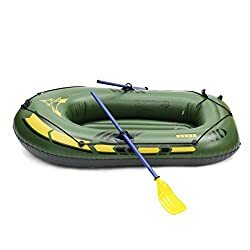 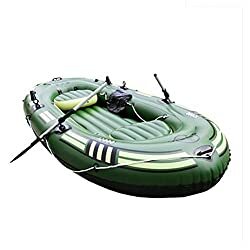 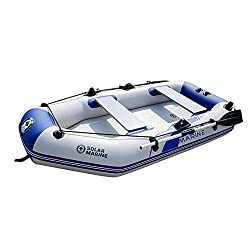 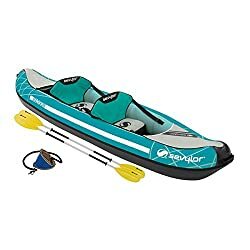 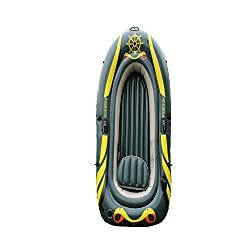 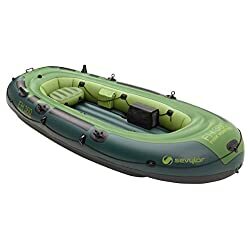 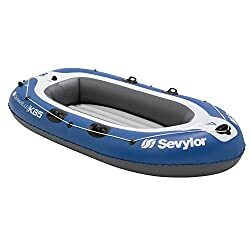 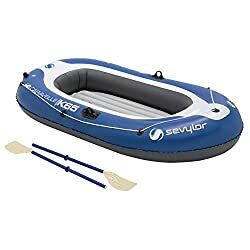 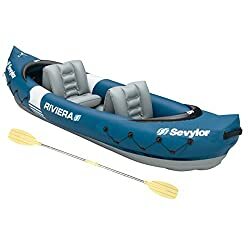 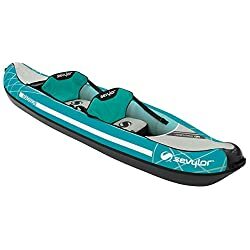 Fully inflatable dinghy with 4 separate air chambers for added security. 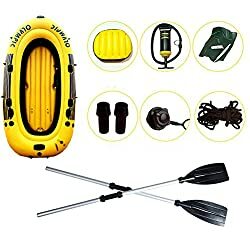 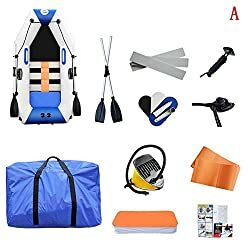 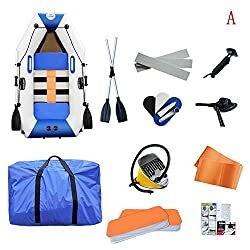 Also suitable for sea:Saltwater-proof and oil-resistant. 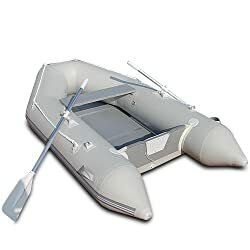 Inflatable base and removable pads inside for extra comfort; welded inner pocket for sensitive or valuable items. 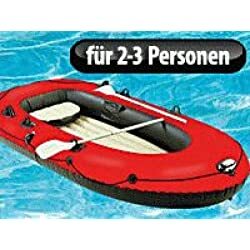 For 2 adults + 1 child. 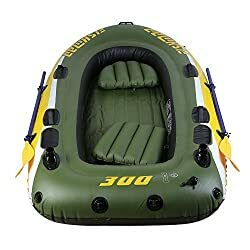 Maximum user weight 200 kg. 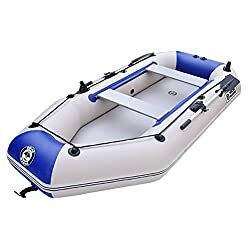 All-round rope for secure hold and easy assembly. 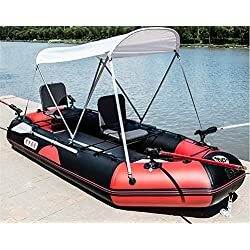 With 4 paddles usable:4 welded Ruder dollies. 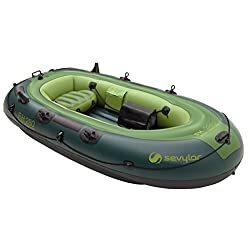 Boston and double lock valves for easy inflation.